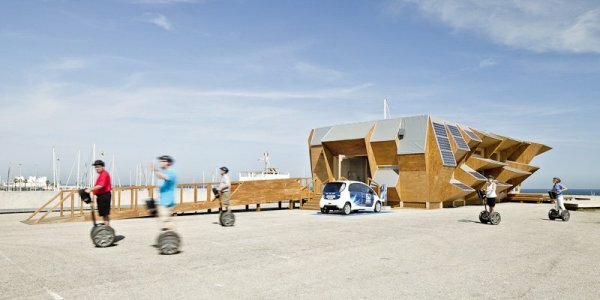 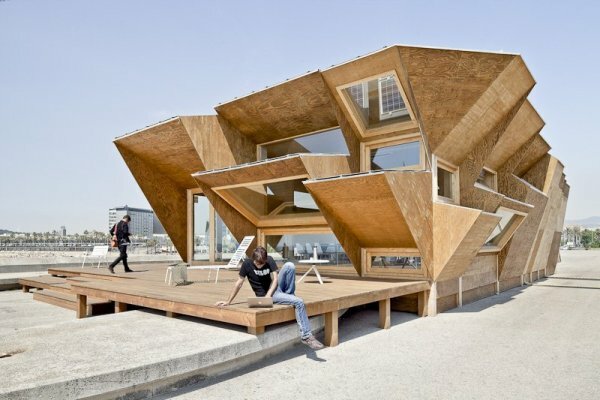 This unusual futuristic eco-friendly pavilion is designed by the Institute of Advanced Architecture of Catalonia as a part of the Smart City Expo in Barcelona, Spain. 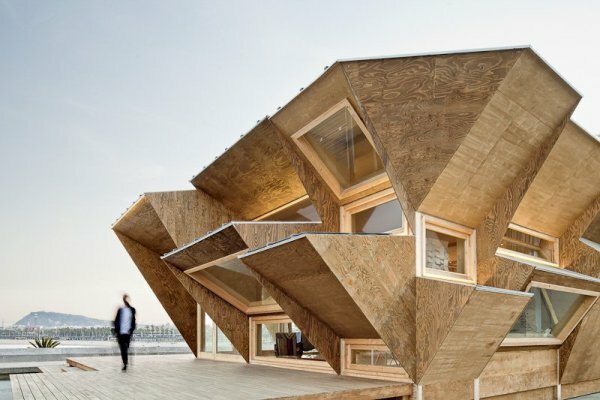 The name of the project is ‘Endesa Pavilion’. 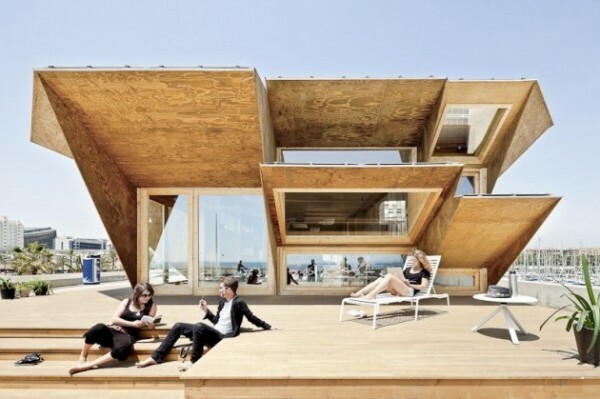 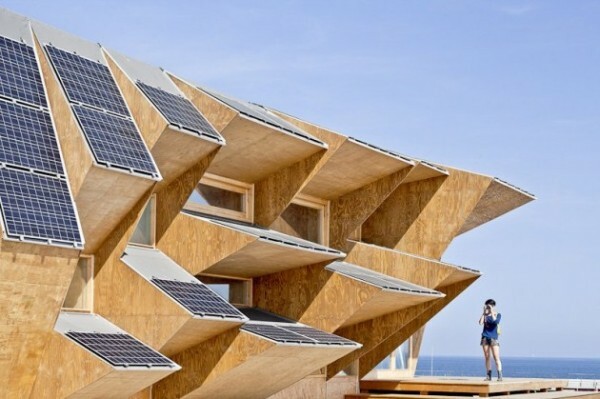 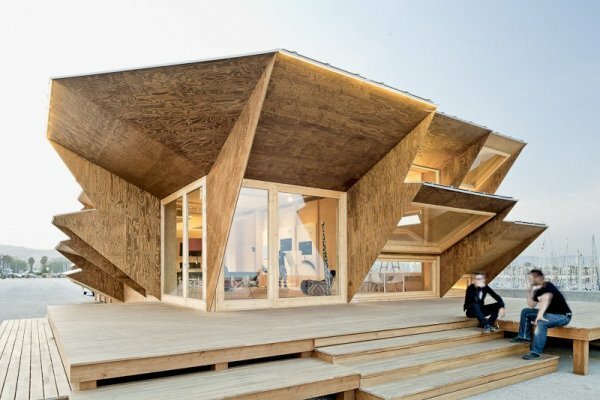 The wooden structure is composed of numerous triangular modules, each equipped with a solar power panel for collecting photo-voltaic energy. 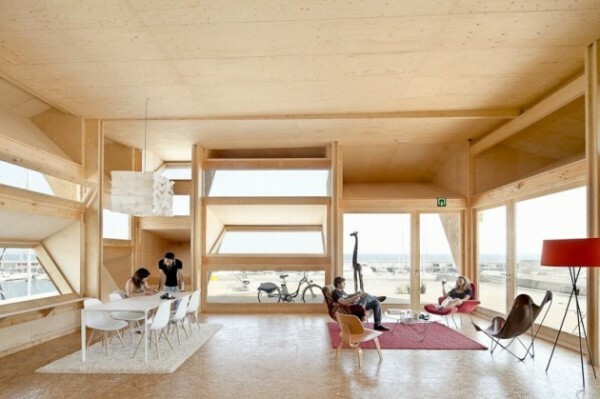 Huge windows allow the sunlight to flood the spacious wooden interior. 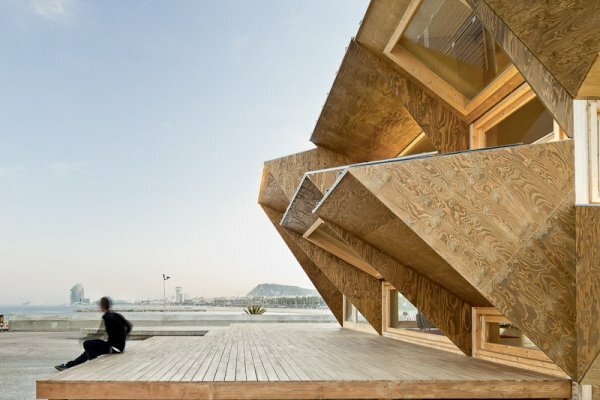 The original architecture of the pavilion attracts many admirers of contemporary design and impresses with simplicity and environment-friendly construction.